The International Climate Science Coalition (ICSC) is a group of climate change skeptics which describes itself as "an association of scientists, economists, and energy and policy experts working to promote better public understanding of climate change science and policy. ICSC is committed to providing a highly credible alternative to the United Nations Intergovernmental Panel on Climate Change and helping foster a more rational, open discussion about climate issues. Two panels of distinguished scientists and policy experts from more than a dozen countries oversee the ICSC’s research and educational efforts." "Since its formation in 2007, ICSC has been funded and supported exclusively by private individuals... We have never received financial support from corporations, foundations or government." Yet ICSC received $45,000 from the Heartland Institute in 2007, according to Heartland's Form 990 for that year..
Requests that ICSC resolve this apparent discrepancy between IRS records and the ICSC assertions have been rebuffed. Tom Harris, Executive Director; Harris was formerly the Executive Director of the Natural Resources Stewardship Project and a Director of Operations of the Ottawa office of the High Park Group (HPG), a Canadian PR and lobbying firm. The ICSC affiliate group in Australia includes advisors such as Vivian Forbes and Professor Ian Plimer. Mr Forbes is a director of coal export business Stanmore Coal. Professor Ian Plimer is a director of at least five mining companies, including Ormil Energy, which in June 2011 received state approval to drill near Sydney in search of coalbed methane. The web sites of the International Climate Science Coalition, the New Zealand Climate Science Coalition, and the Australian Climate Science Coalition are all hosted at the same IP address, by a single Internet service provider in Arizona.. ICSC's executive director was unwilling to comment on this apparent linkage. 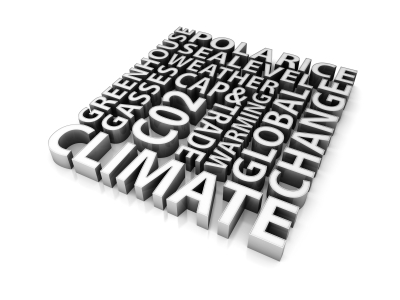 The ICSC site highlights news on climate skeptics from all over the world. It also propagates skeptics' conspiracy theories on climate change. ↑ "International Climate Science Coalition", Heartland Institute, March 2008. ↑ ICSC FUNDING. International Climate Science Coalition. Retrieved on 2011-10-05. ↑ Graham Readfearn, "Climate Sceptic Group Reveals Strategy Document to Win Hearts and Minds" DeSmogBlog, June 29, 2011. This page was last edited on 5 October 2011, at 20:25.